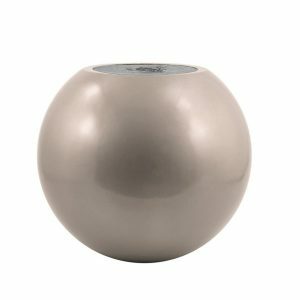 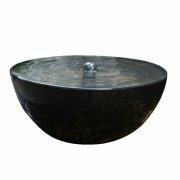 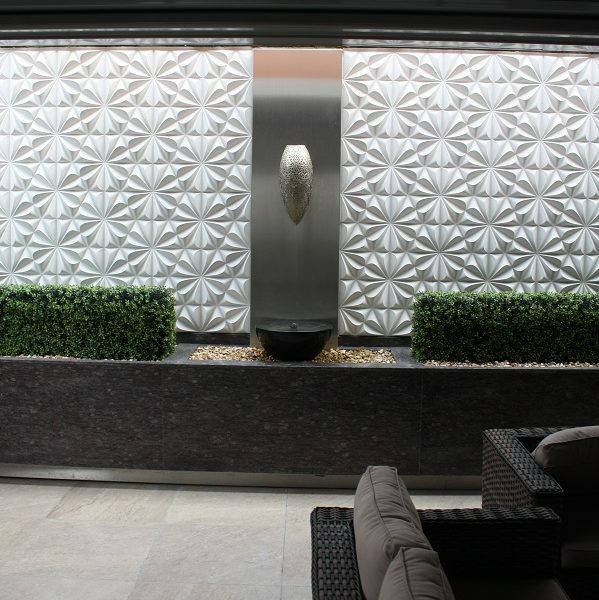 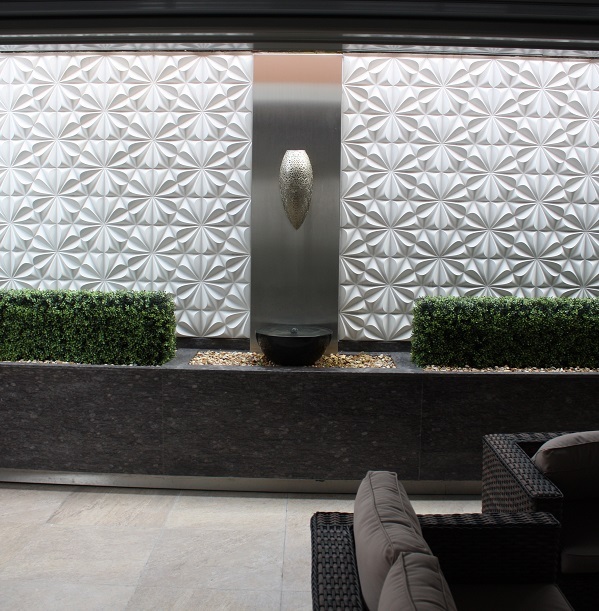 The Luna – Half Water Bowl is an elegant contemporary water feature that adds a new dimension to any outdoor or indoor space in which its placed. 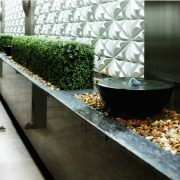 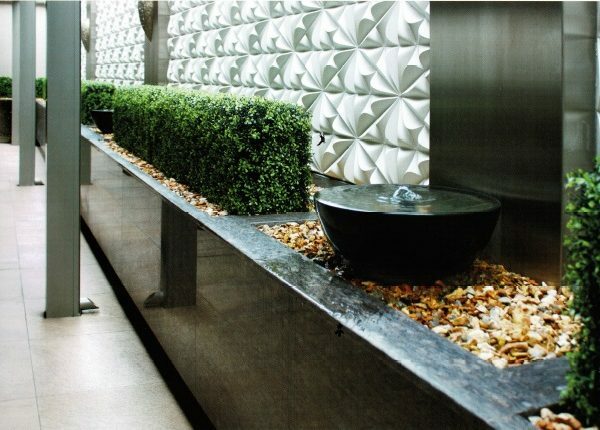 Creating a relaxing audio effect with the gentle bubbling of the water, this feature bring serenity with it. 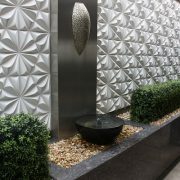 Available in 4 sizes & a multitude of different colours & finishes this feature can be personalized to suit any space it is to be placed. 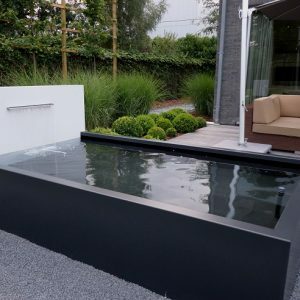 Fibreglass is low maintenance but we recommend that all products of this material are cleaned at least twice a year. 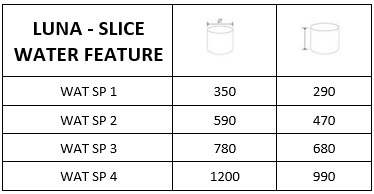 Please note that some cleaners may damage or affect the material. 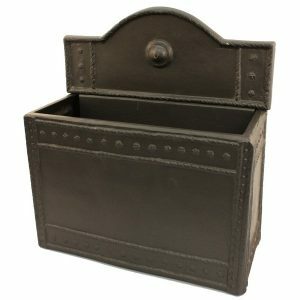 Do not clean with steel wool, sand paper, solvents or any other abrasive material. 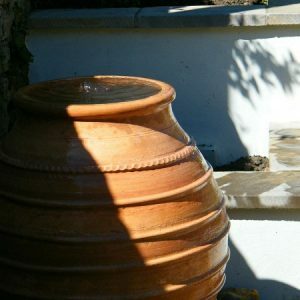 Cleaning with a pressure washer can also cause damage. 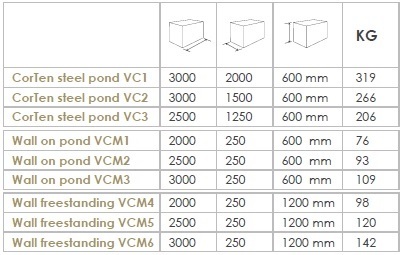 These features are designed to be placed on flat level ground. 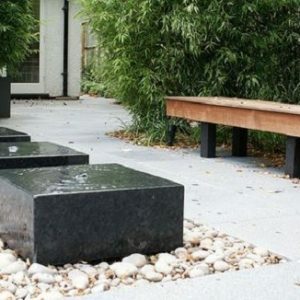 If planning to raise off the floor on feet, runners etc.. or putting them on cobbles, stones etc… would require extra reinforcement to the base of the planter at an extra cost. 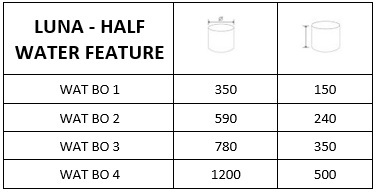 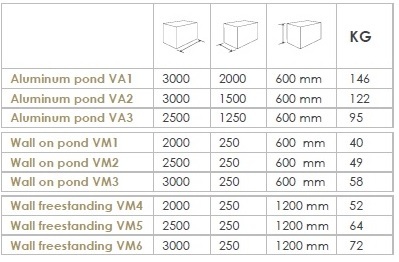 Please let us know if you would like extra reinforcement to the base of your planter if required, as if this is not stipulated when purchased and your planter is not placed on flat level ground this could void your warranty. 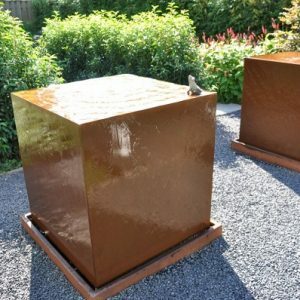 Highly corrosion resistant –Corten steel can resist all weather conditions without maintenance. 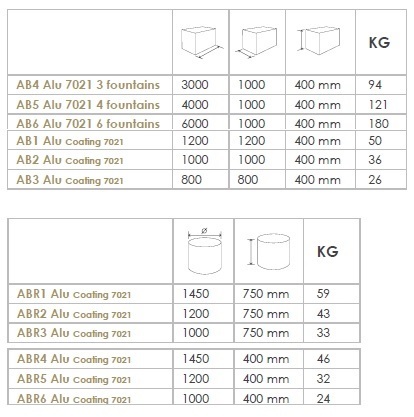 Highly corrosion resistant – Aluminium can resist all weather conditions without maintenance. 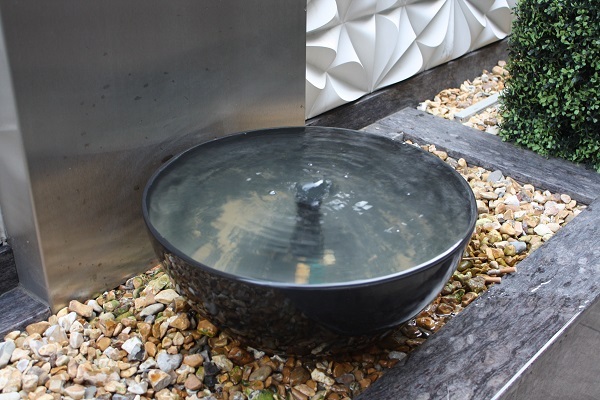 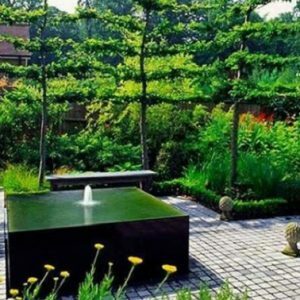 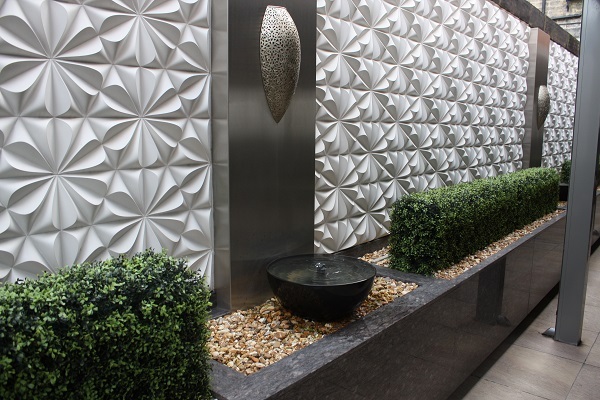 As all our Aluminium water features are powder coated this eliminates any dulling over time. 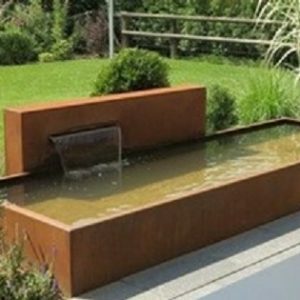 Highly corrosion resistant – Corten steel can resist all weather conditions without maintenance. 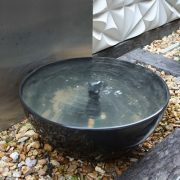 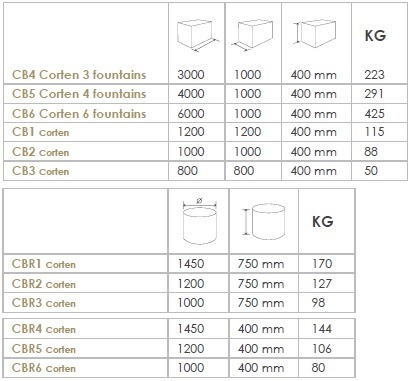 Call our sales team today on 02476 559 416 for a quote or advice on this product. 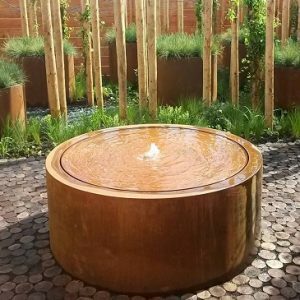 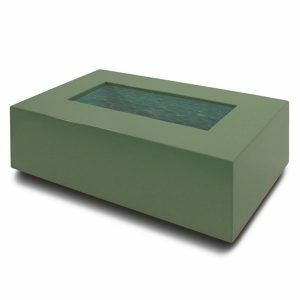 Alternatively, email: info@taylormadeplanters.co.uk View Colours & Finishes Available For specification and price, please call 02476 559 416 Click here to see the matching planters to this water pond.